My two have always loved doing crafts. A couple of years ago I had pneumonia. I was poorly for about 4 months and had ALLLLLLL the mum guilt about not being able to do things with the children. As I began to feel better, I started to set up simple activities for them to come home to after school. It meant they were entertained and I didn’t have to break up WW3 and I could sit with them and talk to them without expending too much energy. My eldest still remembers this and often asks if we can “do an activity after school”, so on days when we don’t have after school activities, and I’m not working, I try and set things up. They’re also great for rainy days, and as our half term was quite quiet, we did a few then too. 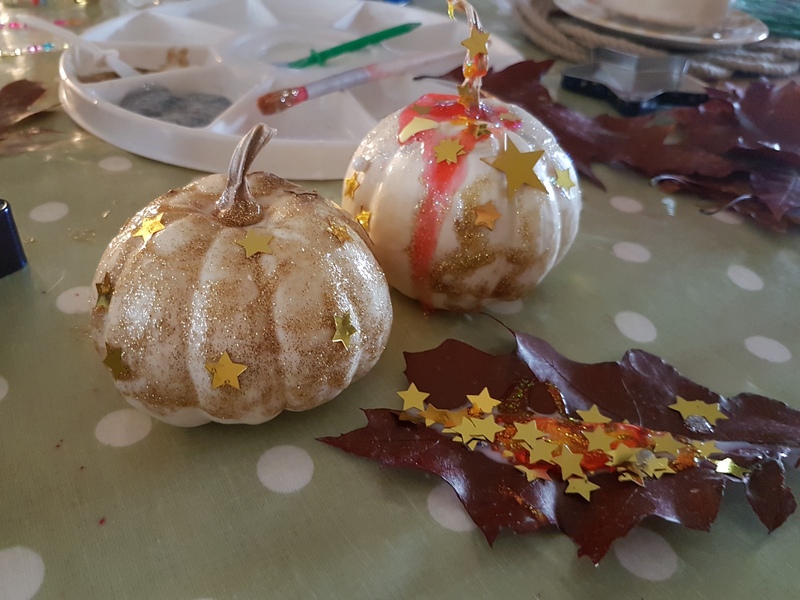 I thought I would share some of our recent activities and then some that I plan to do in the run up to Christmas. My main sources of inspiration are Pinterest ( follow me here) and The Imagination Tree. We are not big on celebrating Halloween. But we do like Autumn and when I found some mini pumpkins at my local market I decided to use one of Imagination Tree’s ideas to decorate them. 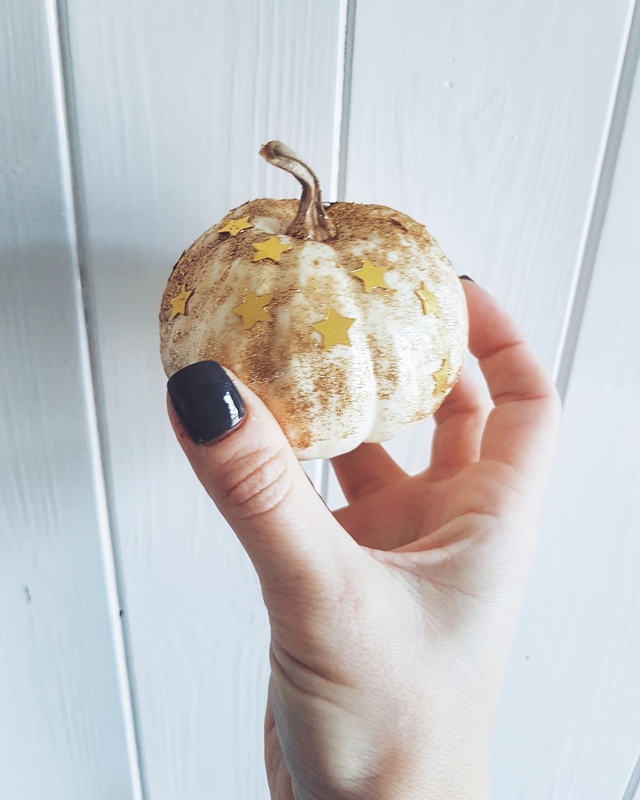 You could do this with large pumpkins too and as you can see, we used some of our Autumn leaf collection too. You will need: glitter, glue, sequins, pain pens, pumpkins. I just put all the resources on the table and let my two get creative, I did one too as a model and so that they could see me getting involved. I use a tray like this which I got from eBay but often you can find them in pound shops and the like too. This is a really simple cooking activity without the actual cooking! Would be good for new year celebrations as well as bonfire night. 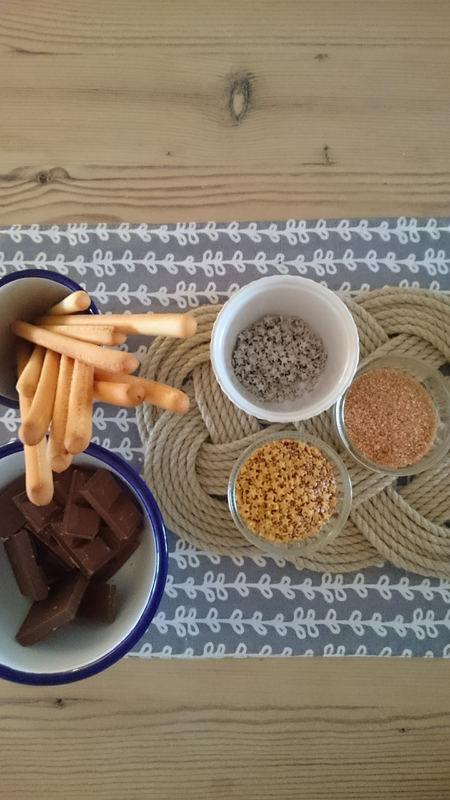 You will need: breadsticks, melted chocolate (you can use chocolate spread, caramel sauce etc too) and a variety of sprinkles. I got some nice gold stars from Sainsburys. Melt the chocolate and dip the breadsticks into it. Then dip them into the sprinkles and leave them to set. Easy peasy!!! My youngest loves painting so one night when my eldest was at beavers I set this up for her to do. Again I used the tray and we mixed autumn colours together, talking about which colours make brown, orange etc. I don’t buy lots of paints, just primary colours and let them mix and experiment. This is more economical and great if you don’t have lots of space for paint supplies. I found the leaf cutters on eBay and we have used them for spiced biscuits too. 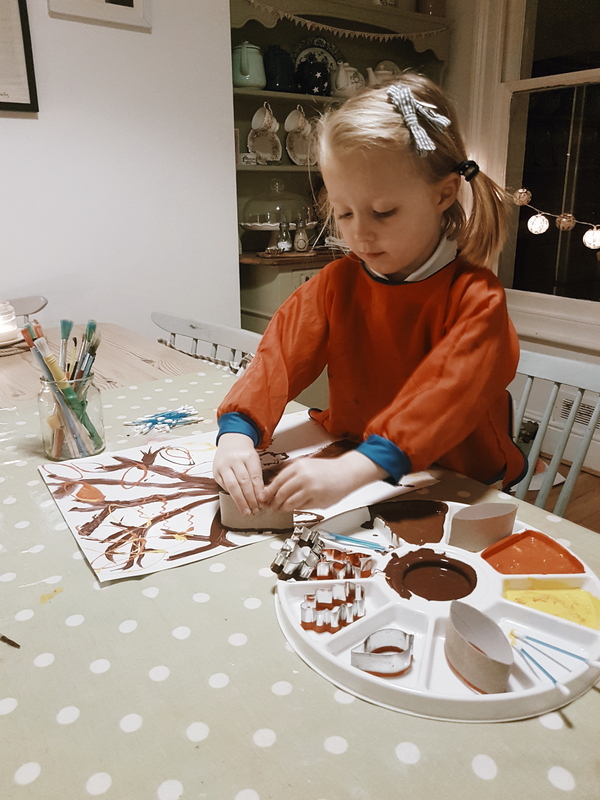 You will need: toilet roll cut up and squashed into shape, cotton buds, autumn coloured paints, something to dip the paints in (baking trays will do! ), paint brushes, A3 paper. 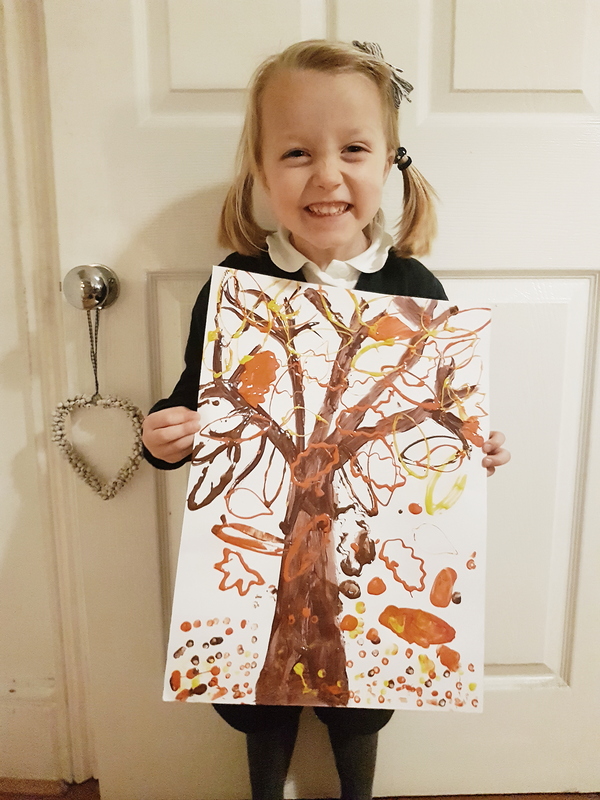 I drew the tree outline and she painted it, adding in extra branches with a finer paint brush, then used the different resources to create the leaves. 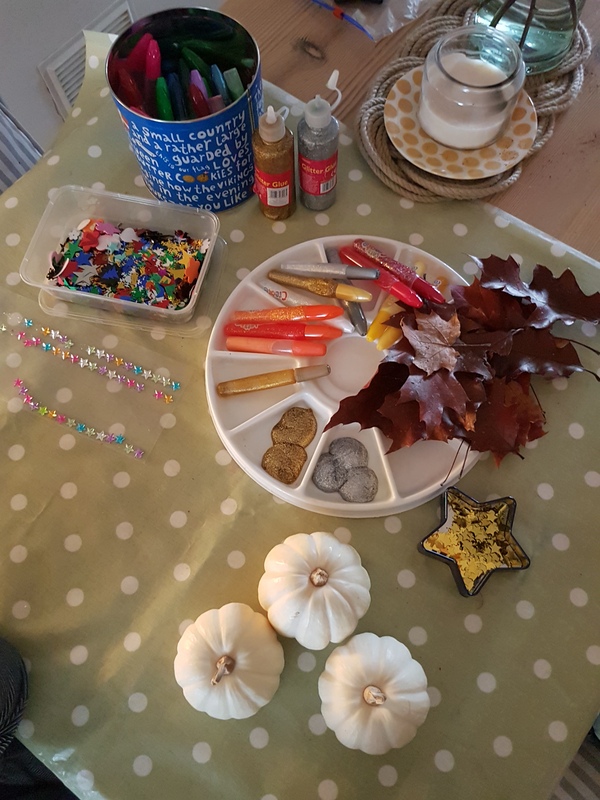 I encouraged her to think about the colours and mixing them up, and she came up with the idea of using the cotton buds to make the leaves on the ground. These are really effective and would make great Christmas gifts for family. You will need: Empty jars, washed and dried. 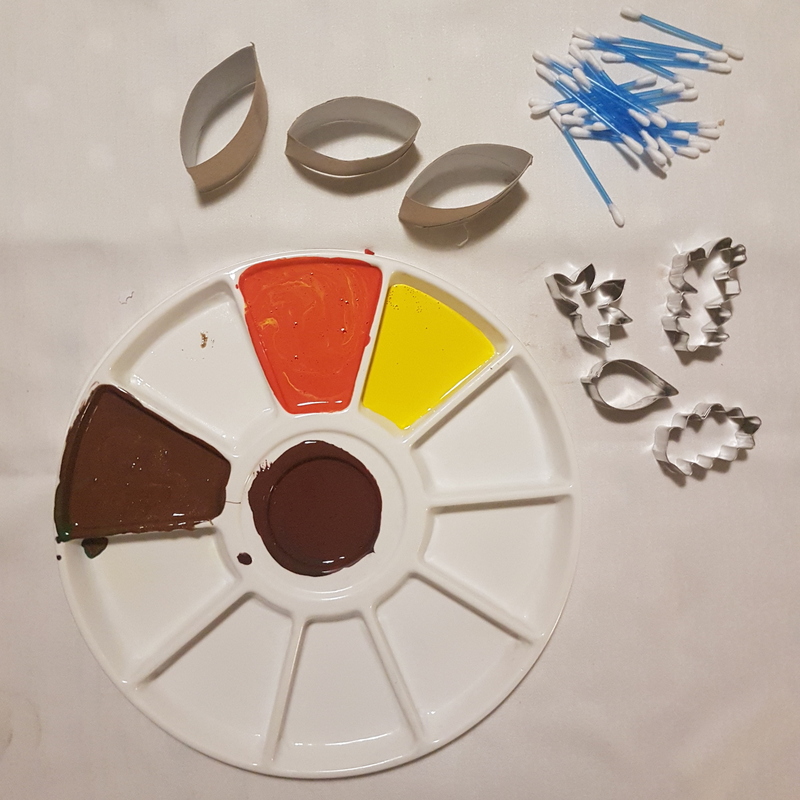 Leaves of different shapes and colours ,(the less crisp the better) PVA mixed with a small amount of water to loosen, a thick ish paintbrush some nice ribbon or twine, tealights. Find the leaves you would like to use – less is more! Mix the PVA with water and use a paintbrush to cover the jar. 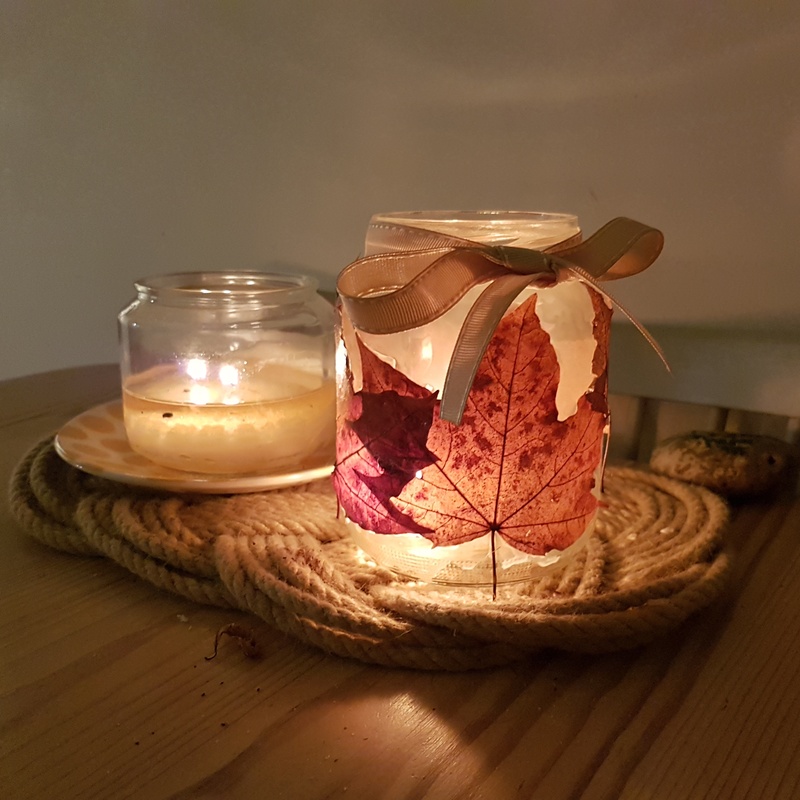 Place one leaf onto the glue where you would like it and use the paintbrush dipped in glue to press the leaf onto the jar. You can afford to almost soak the leaf at this point. Layer more leaves around the jar ensuring the glue is pressing them down and covers the leaves. It will act as a sort of shiny varnish once dry. Leave to dry overnight. Add twine or ribbon around the neck of the jar and pop a tealight inside. As always let me know if these inspire you, and share your photos on Instagram if you follow me on there, using the hashtag #anysomethingcrafts! !